Pediatric Dental Staff - Dr. John Sushynski, DDS, MS, Dr. Daniel P. Carroll, D.M.D. Dr. John M. Sushynski, D.D.S., M.S. Dr. John Sushynski was raised locally in Montrose, MI. He graduated from the University of Michigan-Flint, and attended dental school at the University of Michigan School of Dentistry. He completed his master’s degree in pediatric dentistry at the University of Michigan, Mott Children’s Health Center, and Hurley Medical Center. 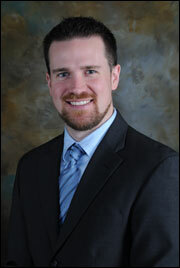 He is Board Certified, from the American Board of Pediatric Dentistry. “Dr. John” looks forward to treating children who have special needs, and children who are very anxious about visiting the dentist. He is experienced in procedures requiring sedation or general anesthesia and has operating room privileges at Hurley Medical Center in Flint, Michigan. Dr. John has two boys Ben and Luke. He considers himself an outdoor enthusiast and is fond of running in statewide road races and cheering for Michigan sports teams.